Every work day, supervisors make important decisions that could create organizational liability risks before HR or Legal are even aware of an incident. Robin Shea, a partner at the national law firm Constangy, Smith, Brooks & Prophete, and author of the firm’s award-winning Employment & Labor Insider, cautions that “supervisors make or break the company’s defense” in these situations. 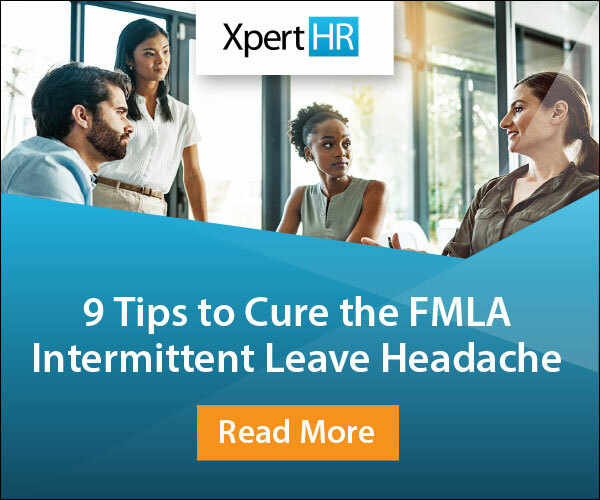 During an XpertHR webinar, Shea explained that the key to ensuring that a supervisor makes – instead of breaks – the organization’s defense lies with supervisor training on labor and employment law compliance. So why is it so important to train supervisors to respond appropriately when receiving critical information? For many employees, front-line supervisors are synonymous with the highest levels of management. If they have a question about safety, operations or corporate policies, or if they have a fairness concern, employees often go to their immediate supervisor for guidance and direction. For this reason, supervisors should be trained to recognize compliance issues – and to ensure that suitable actions are taken in a timely fashion. Unfortunately, supervisor training may not be a top priority for most employers. When XpertHR asked webinar attendees to share when their last supervisor training was held, almost one-fifth (18.3%) of participants admitted to failing to provide any supervisor training in the last year (if at all). While the majority of poll respondents reported that they had provided supervisor training within the last six months, it’s possible that others’ failure to provide training on a regular basis may be due to budgetary constraints. If your organization is worried about costs for outside providers, take heart that most of the webinar respondents, when polled, stated that they use internal resources – HR professionals – to conduct training. Many respondents (16%) used outside consultants, while some communicated that they used a combination of external and internal training solutions. One attendee described particular challenges when trying to schedule training because of supervisors’ competing commitments or remote work locations. If no live training option is available, Shea recommended that interactive activities – such as quizzes – be included in training materials sent to supervisors. Alternatively, Shea suggested that a series of audio or video conference calls with subgroups of supervisors could be helpful in identifying and talking through recurring compliance issues. Shea emphasized that there’s no such thing as providing supervisor training “whether they need it or not” – they do need it! Because the Supreme Court addressed this issue with its 2015 ruling in Young v. United Parcel Service, Shea urged employers to train supervisors and explain at length what employee protections would be covered when discussing pregnancy accommodations. In addition to compliance topics, Shea stressed the importance of positive employee relations because workplaces with low morale can experience an uptick in claims. Supervisory skills training – other than labor law compliance training – can help mitigate the root cause of low morale, and potentially avoid claims by disgruntled employees. When considering additional topics, conducting a training needs assessment (whether through focus groups, self-assessments or questionnaires) can assist in controlling training budgets. 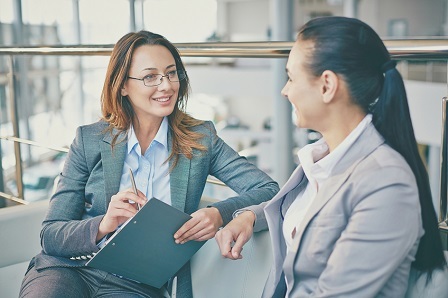 The main focus of any supervisor training should communicate to supervisors that they are not alone when handling a challenging workplace situation. How to protect against retaliation. Refer the situation to HR (or, depending on the nature of the complaint, to a Labor Relations Manager or Safety Manager). If a trainer is encountering resistance from supervisors when providing training, Shea suggests starting out with true war stories or case studies. Shea recommends using fact situations where a “company got clobbered because supervisors failed to do what they were supposed to do” as something sure to grab trainees’ attention. Avoid HR jargon or legal mumbo jumbo. A well-trained supervisor is your “company’s best defense,” according to Shea. Having a documented, legally adequate initial reaction to a situation can provide various defenses against administrative charges and lawsuits. Providing supervisors with the proper tools and support to do their job well will result in their becoming HR’s best workplace partners.